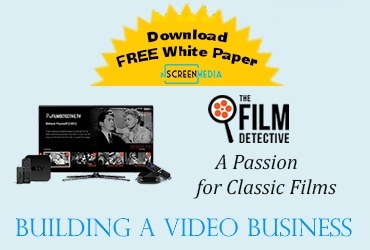 Online video services are continuing to encroach on the traditional role of pay television. vMVPDs are boosting functionality and content, online content aggregators are sharpening their message, and online television viewing closely resembles and replaces pay TV viewing. The most direct competitors for pay TV services are the virtual MVPDs. Services like Sling and FuboTV are working to improve their product to be more competitive with cable at a far lower price. For example, Sling TV has now released DVR functionality across almost all the platforms it supports. Last week it expanded cloud DVR support to its own AirTV player, iOS devices, and Windows 10 PCs. DVR services cost just $5 a month, and include 50 hours of storage. FuboTV is also boosting the number of channels subscribers to its $35 a month service can watch. In markets where CBS owns and operates channels, customers will be able to watch CBS, the CW, Pop, CBSN, and the CBS Sports Network. Customers will also be able to subscribe to CBS-owned Showtime. One of the charges often leveled at online TV services is that there are so many and they’re difficult to manage. Companies like Amazon and Elation are focused on fixing that problem. Amazon continues to put a heavy focus on its Channels program in the US, and now in Europe. In the US, the company provides access to variety of content on-demand. In Europe, customers can also subscribe to linear television channels. For example, they can subscribe to Eurosport live for £6.99 a month and ITV (the biggest UK commercial broadcaster) for £3.99 a month. VRV is a service from Ellation that aggregates SVOD services that target the fandom audience. It provides a mix of free-ad-supported and premium content. Last month it borrowed another pay TV model and began offering a bundle of channels for a much lower combined price than if they were sold separately. The combo pack includes Crunchyroll, MONDO, Funimation, Rooster Teeth, Cartoon Hangover, Nerdist, Geek & Sundry, and Tested for $9.99 per month. To subscribe to these services separately would cost $33 a month. 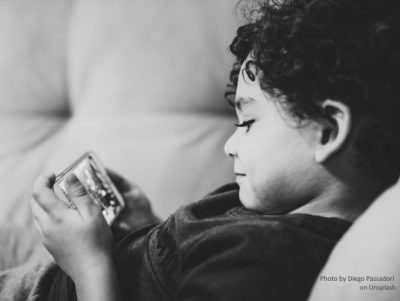 New data from comScore shows that when online video is watched on television it is consumed just like television during the working week. 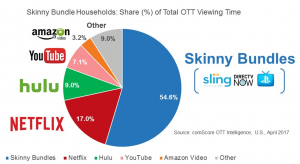 comScore concurs with other sources, showing that online viewing on television set conforms to the same daily patterns and traditional TV viewing. It peaks during the primetime viewing hours of 7 to 11PM every night. comScore data also shows that when using content on vMVPDs, those services closely resembling pay TV, viewing looks just like regular television. The company says vMVPD subscribers watch, on average, 5.3 hours per day through their service. 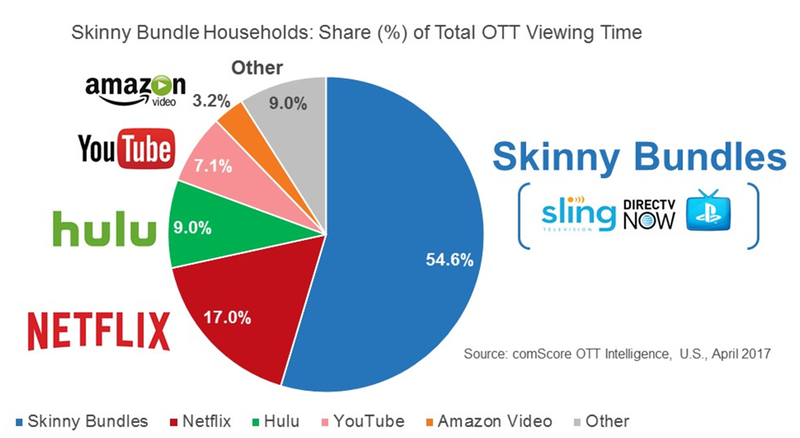 Viewing of services like Sling TV and DirecTV Now occupies more than half of all online viewing. This suggests that SVOD services like Netflix are still augmenting linear television viewing in vMVPD households, just as they do in pay TV homes. The core value propositions of pay TV are steadily being eroded by online providers. The functionality and content mix of pay TV is being duplicated by vMVPDs. The aggregation role of pay TV is being replaced by online providers. Online video viewing on television closely resembles and replaces traditional pay TV viewing patterns.